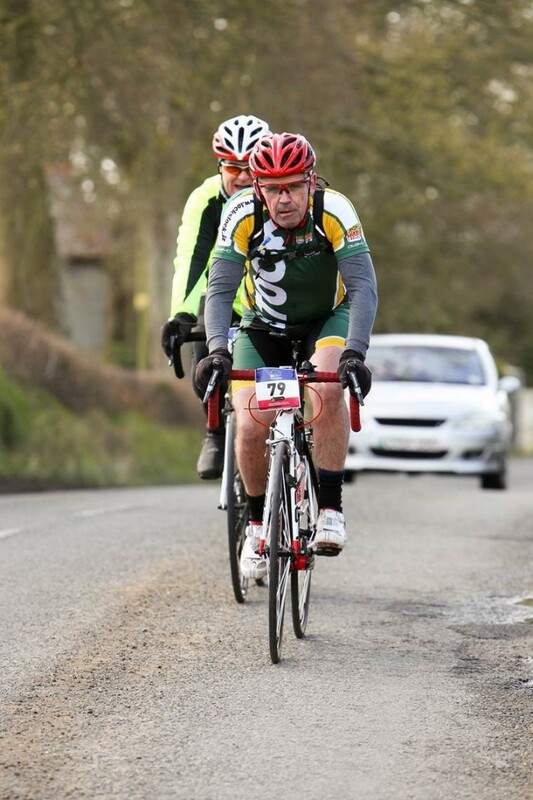 A keen cyclist has raised over £2,000 for St Kentigern’s Hospice on a gruelling 300-kilometre overnight cycle event in Sweden. 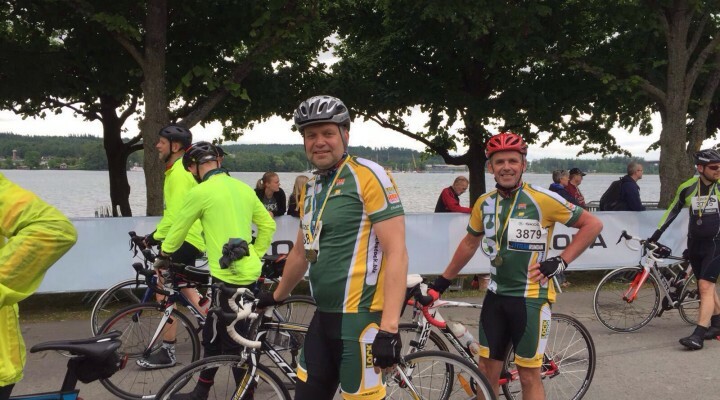 Nick Powell, from Denbigh-based Lock Stock Self-Storage, tackled the 186-mile circuit of the giant Lake Vattern on the annual Vatternrundan with thousands of other cyclists. The lake is Europe’s fifth largest and the annual event attracts over 25,000 cyclists who pedal through the short twilight of a Swedish summer night, passing through the villages that line the shore. He set off at 9pm resplendent in his green and yellow Lock Stock cycling suit and accompanied by family friend Stefan Janbro, from Nordinge, near Gothenburg, similarly kitted out. They cycled through the summer night and 12 hours and 40 minutes later, at 20 to ten, the pair crossed the finish line with Nick recording his best-ever average speed. He said: “The time was similar to last year but my average speed was higher, about 17mph, which I’m pleased with though we had more stops. St Kentigern’s Hospice is a cause that’s particularly close to the heart of Nick, a director of Lock Stock alongside his younger brother, Shon, because their elder brother, Simon, lost a long battle with cancer at the age of 57 and their mother, Jean, has also had the disease. Nick, from Denbigh, is a director of the family-run company which operates 16 self-storage sites across North and Mid Wales and the borders, from Bangor to Shrewsbury, where Lock Stock have over 2,000 shipping containers for customers. He trained for the event by riding up to 200 miles a week around North Wales before heading over to Sweden where he was joined by Stefan for the epic race. He said: “It’s a tough event but it’s fun too. We pass through some wonderful countryside and the lake is beautiful while there is great camaraderie among the riders and support from the spectators. Lock Stock are one of Wales’s fastest-growing companies with 16 sites across North and Mid Wales and the Border Counties and also operate a van-hire business, Take Stock, from its three main hubs at Llandudno, Chester and Rhyl – they also sell fireworks at Chester and Llandudno. This entry was posted in Business, Charity, Community, Health, News, Sport. Bookmark the permalink.